NEWBIUM.COM - Cryptocurrency market data visualization platform. Newbium was created to provide cryptocurrency traders, speculators, retail investors & investment fund managers support tools for making smarter crypto investment decisions. 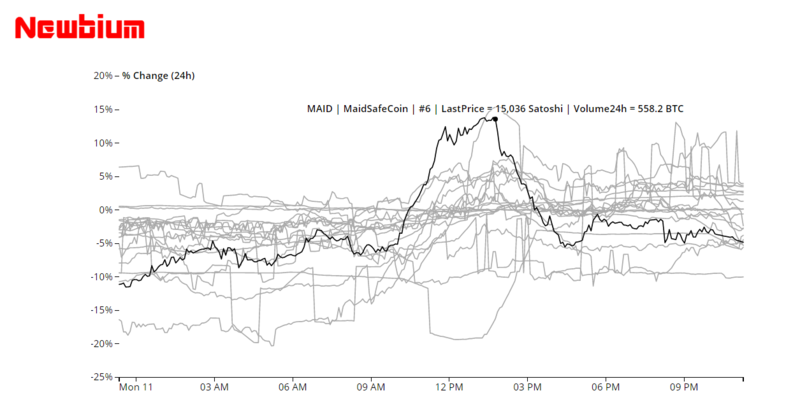 By providing a visualization platform that displays real-time and historical macro cryptocurrency market data. Our aim is to provide a living picture of the cryptocurrency market in real-time. 40,000,000 coins will be offered during the crowd sale (40%). 1) Paid subscriptions for specialized data/services. 2) Sales of Index products (NxttyACCI). 3) Providing data feeds for third-party plugins (Wordpress), widgets, etc. 4) Providing human generated data feeds to robotic traders, DAO, etc. 5) Access to historical data in Newbium database. Newbium will accept cryptocurrency as the primary means of payment. Dividends will be paid out to token holders once operating cost have been covered. Dividends will be paid out of profits generated from revenues. The cryptocurrency in which dividends are paid and the method of dividend payment will be communicated at a later date. Big data analytics is set to be worth billions and definitely set to grow when you take into account things such as IOT and increased access to the internet, with the terminal market share alone worth around $71 billion. The data analytics market for cryptocurrency is a huge opportunity when we take into consideration its border-less global reach, 3.17 billion potential users with access to the internet and growing. This is a low barrier to entry creating massively underserved users and institutions globally. Unlike the traditional terminal market where there are restrictions in the ability to subscribe depending on your geographical location plus other limitations. This is why institutions make up most of the subscribers thereby losing the much larger market segment which includes retail investor, small traders, long-term investors etc. Thus providing data analytics on the cryptocurrency market will give us access to a much greater market base. That means larger market share and huge profits when cryptocurrencies become widely used and adopted. By targeting the current market, we are positioning for strong growth in the coming months and years ahead. 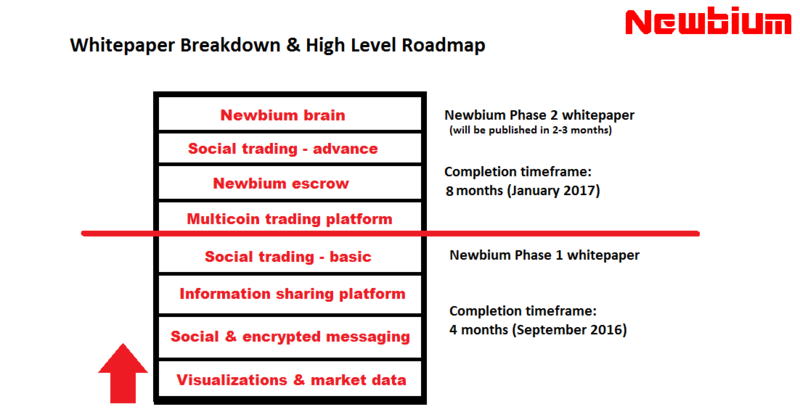 Our philosophy, create value for our token holders by positioning Newbium for massive success. 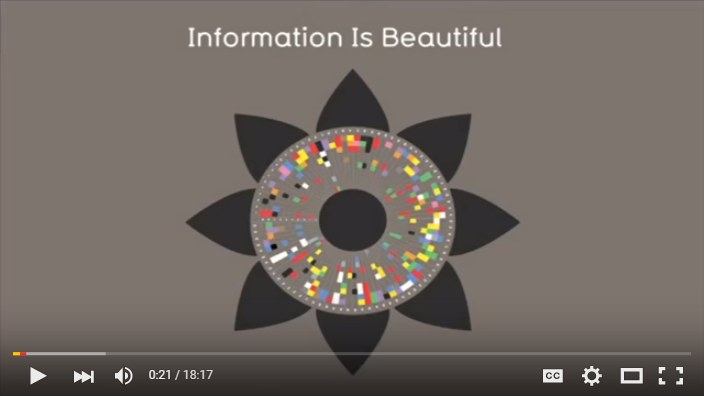 Re: PRE-ANN] NEWBIUM - Cryptocurrency market data visualization platform. 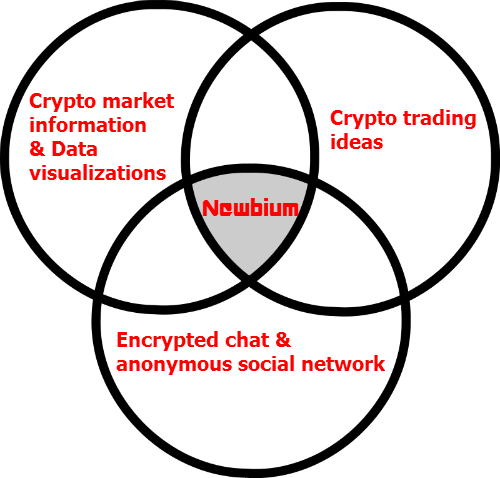 Newbium will integrate the Nxtty Encrypted Messaging and Open Chat technologies. The Newbium coin (Asset) will be listed on both the Nxt & Ethereum blockchains. 1) 100,000,000 NXTTY representing 10% of the NXTTY coinbase will be swappable. 100,000,000 NXTTY for 1,000,000 Newbium (NEWB) Tokens. So if you swap 100 NXTTY you will receive 1 Newbium (NEWB) token. 2) Current holders of NXTTY will be able to swap 20% of their NXTTY holding for Newbium. 3) Anyone who purchases NXTTY on an exchange from April 15 to April 30th (UTC time - 00:00) will be eligible for 100% NXTTY -> Newbium (NEWB) swap. 4) The swapped Newbium (NEWB) tokens will be distributed after the Newbium crowd sale is finished. 5) The swap process will be published very shortly. Thanks lando for this informations, I follow it with interest. Support us to publish "The first book about Nxt"
What is revolutionary on Newbium? Newbium tokens are not shares in stead they are a means of managing ownership and voting within the Newbium community. What are the benefits of holding Newbium tokens? Are Newbium tokens a prerequisite to join the community? Will there be any fees distributed to token holders? The above was "lawyer" speak....Newbium tokens are the same as any asset on Nxt AE. When will assets be sold and are there pre-orders such as Jinn had? The crowdsale will start on May 1st, 2016. We didn't plan for pre-orders as we currently have the NXTTY -> Newbium swap program in place. Will there be any dividend payouts to Newbium token owners? I would like to know if there is some kind of ROI. Yes, once profits are generated then dividends will be paid out. There may be special dividends provided also. 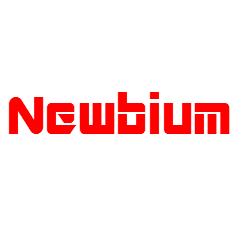 DAO's, humans & robots shall be treated the same on the Newbium platform, all can be "Newbies"
Newbium's userbase will be highly motivated by payment and social incentives in the form of cryptocurrency which users can trade for other coins such as bitcoin. A reward based system for newbies who are actively creating and sharing valuable data analysis. Those who post sound investment and trading ideas will inevitably grow their followers and viewer base on the platform. These followers and viewers can tip the Newbies cryptocurrencies for their valuable service.The more value a Newbie generates for it users the more tips the Newbie will receive from Newbium users. In addition, Newbies can monetize the content they produce by creating private trading groups within the platform. 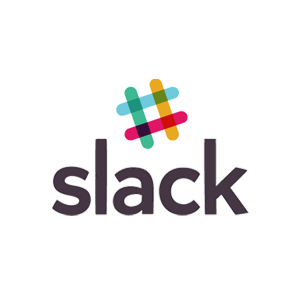 To join private groups users will have to pay a subscription fee.